Lately this blog is looking more like some kind of random personal blog or travel blog than a blog about my metal work. There's not a whole lot worth writing about lately. 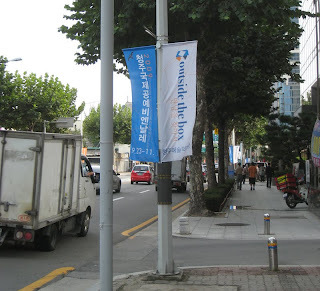 I haven't gotten in any exhibitions since Cheongju. I am not working on anything exciting. I have some unfinished pieces that I think will be good, but I haven't worked on them since before my trip. I'll go back to working on those after I finish up some other things. This one below is now my favorite handle style I have done in aluminum. But I think every time I do a new handle style it's my favorite till I make it a few times and get sick of it. This one is sandalwood. This is another one of my current favorite handle styles. I like the one I did in snakewood better. On Oct. 10th I went to Tokyo. I met an old friend from GIA who I haven't seen in 7 or 8 years, she's Korean and is in Tokyo studying Japanese language. I also met a Japanese friend from elementary school who now lives in Tokyo. I hadn't seen him in over 20 years. 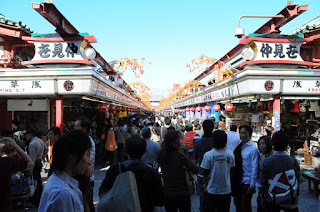 I hung out with my friend from GIA three days and went to some places with her, like Ameyayokocho and Asakusa. When I wasn't with my friends I mostly just took the train (Yamanote line) to different parts of the city and walked around. 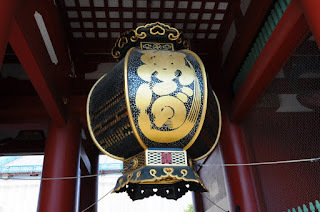 Outside Sensouji Temple in Asakusa (below). 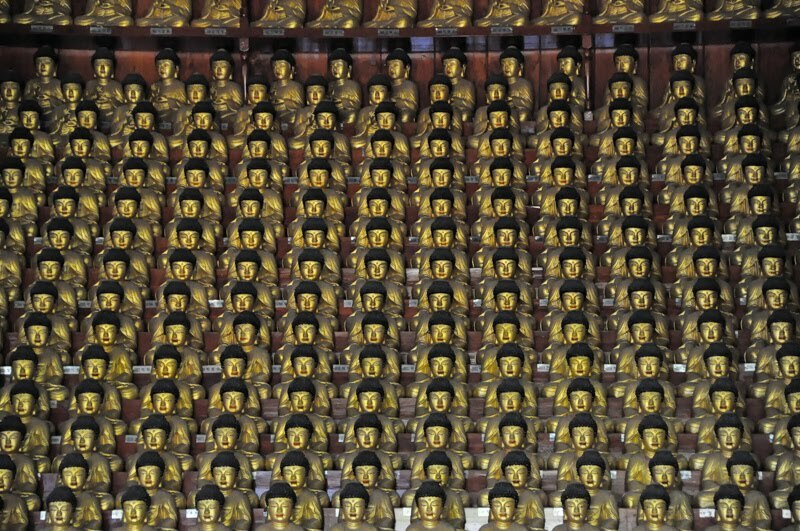 Not exactly my favorite temple. 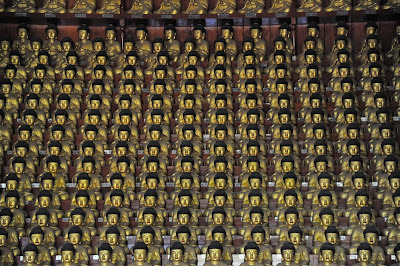 I just realized there's crowds of people in all the photos I am posting. 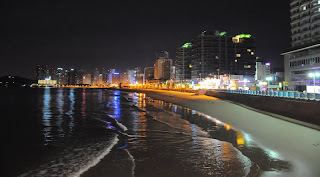 The whole city wasn't like that, but all the interesting places I saw were. 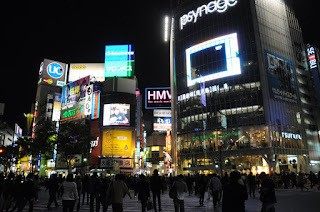 I have been to Japan 4 times before this trip, but this is the first time I have been to Tokyo. It was interesting, but it is not my favorite place in Japan. It's too big. 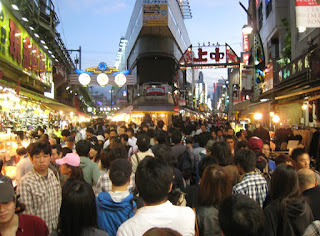 But I liked Seoul because it was so huge. Go figure. 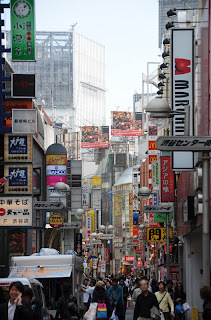 I felt somewhat dissatisfied with Tokyo. 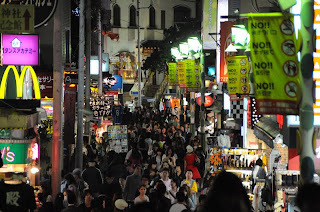 Visiting Tokyo was fine, but afterward I wanted to go someplace else in Japan. I didn't really feel like I had visited Japan. 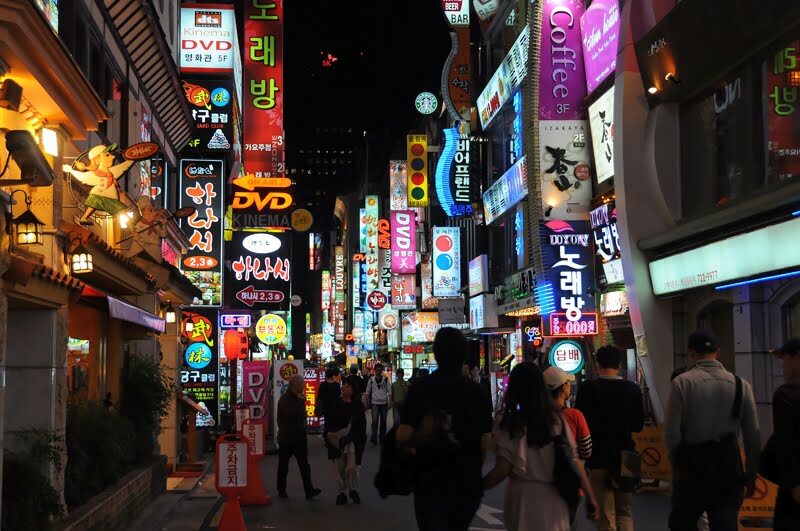 I'm sure I'll go back to Tokyo someday for some reason, but I think I would prefer to spend most of my time someplace other than Tokyo. 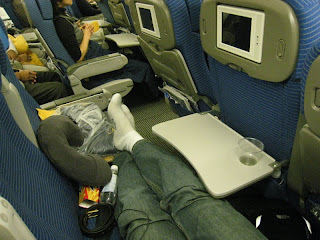 The flight back to Chicago was the best flight ever. I had three seats all to myself. 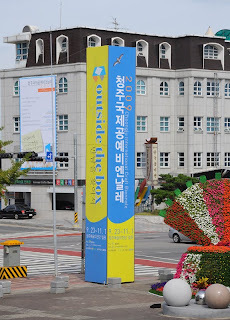 On Thursday Oct. 1st, after the home stay in Cheongju was over I took a bus to Pyeongtaek where my friend lives. 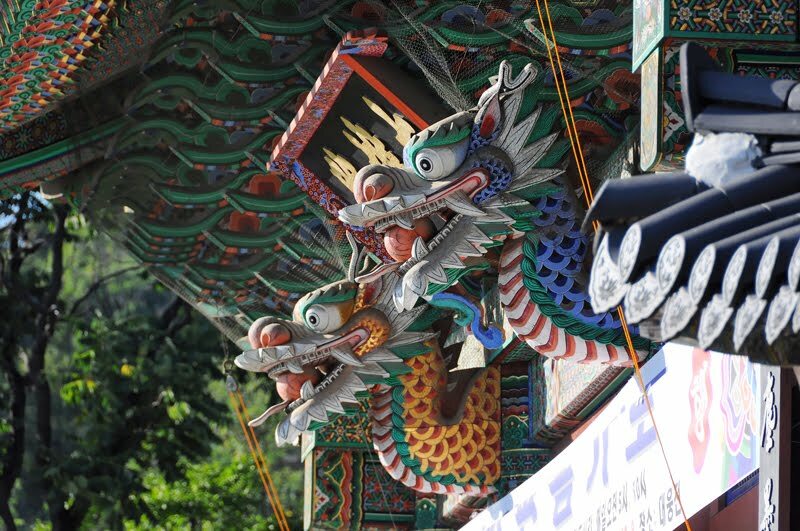 That weekend was Chuseok, (it's like Korean Thanksgiving), so my friend didn't work Friday. Since there's not a whole lot to do in Pyeongtaek, as soon as I got there we went to Seoul for the weekend. We didn't eat here, but I liked the restaurant's sign in the photo below. 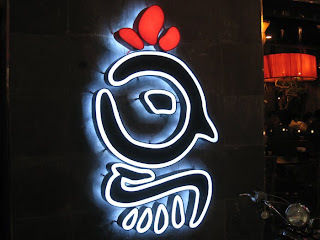 I like how they did the character 鳥, it means bird or chicken, but one could probably tell what kind of food they serve even if one doesn't know any Chinese characters. 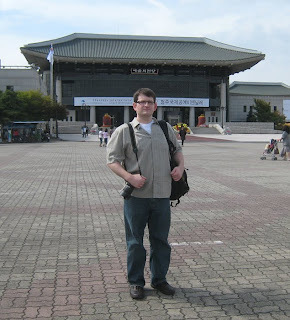 The first week I was in Korea I did a home stay with a family of six in Cheongju. 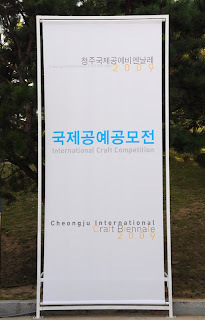 I went to the Cheongju International Craft Biennale, which was good, but not as much fun as two years ago because I wasn't getting any award this time. 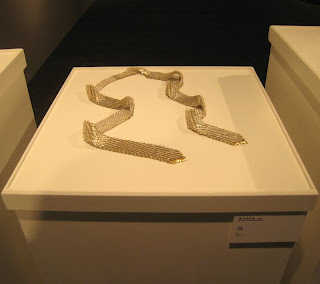 I knew before I went there that my necklace only got Honorable Mention, which is what every piece gets that makes it to the second round of judging but does not win an award. The Biennale was at the same site as two years ago, except this year the Competition was at the same location as the rest of the Biennale. 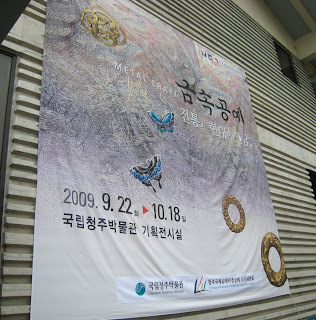 We also went to the Cheongju National Museum and saw a Korean metals exhibition. 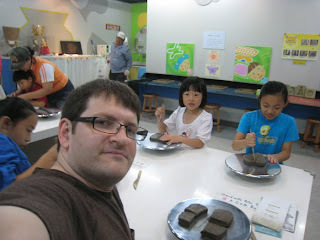 While there I got to play with some clay in a hands-on workshop with three of the host family's children. It was the first time I have worked with clay in about 10 years. But since the workshop is for kids, not adults, I was too big to use the kick wheel. I got home from Japan Wednesday morning. The trip was good. Right now all of my photos are on my netbook, which doesn't have Photoshop, so I need to wait till I move my photos to my other computer so I can crop and resize them to post on this blog.